After much delay (sorry about that. Computer Problems among other things) ConStars is BACK with BronyCon 2018 Edition Part 3. With members of the MLP Comic Staff. Find out how hard it is to work with Water Colors. What makes the Annual Comics so special and how does the comic staff have to say about the comics being canon. Found out right below. This entry was posted in CON STARS on October 28, 2018 by Justin S..
Today is a Good day to be a metal head. 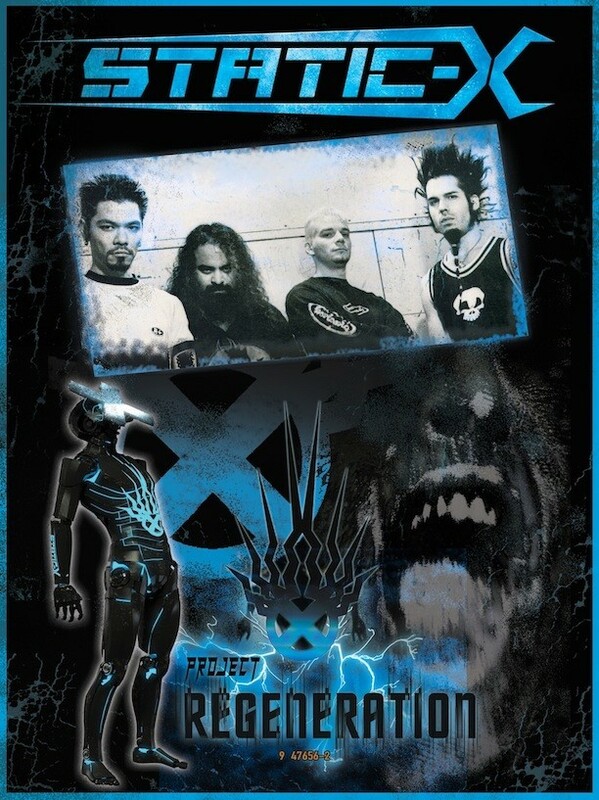 STATIC-X is reuniting for the 20th Anniversary of the multiplatinum, debut album WISCONSIN DEATH TRIP but, wait! Theres MORE! They are also releasing a BRAND…NEW…ALBUM!!!! Just look at this. Guys I am so excited about this. I already know which package i’m gonna get. Please spread the word around so we can help them achieve the goal of a world tour and celebrate the work and memory of Wayne Static. I’m glad that they got the original line up back because as much as I loved Wayne Static. I wasn’t a big fan of his solo album Pig Hammer. It had it’s moments but you can tell that something sounded off. It lacked that Edge everyone else brought. As far as the guest vocalists go. I think they made some good choices and it will be interesting to hear someone like Ivan Moody singing to Industrial Metal. I know Al Jorgensen already does do industrial metal. I’m not that familiar with his sound so i’m gonna have to hear him out. David Draiman I know has already done some Industrial Metal work with his short lived side band DEVICE (which I really wish he would bring back). I am very confident with Dez and Burton vocal abilities but Edsel Dope is a FANTASTIC CHOICE! I was a huge fan of theirs and the sound of his vocals will work well with Static-X music. So until next time nation, Stay Loud and from the words of Static-X Keep Disco EVIL! This entry was posted in Updates on October 24, 2018 by Justin S..